The Gibby Lean will be missed. 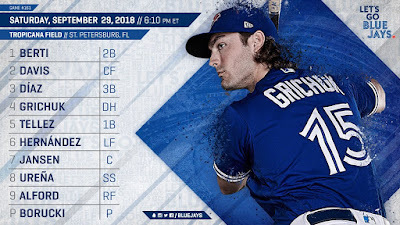 The penultimate game of the season is here and essentially the final game for John Gibbons as Blue Jays manager as Russ Martin will handle the duties in tomorrow's finale. 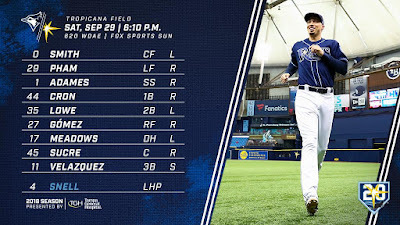 The pitching matchup, again, should be a fun one with budding rotation fixture Ryan Borucki taking on Blake Snell as the latter looks to lock up the Cy Young award. 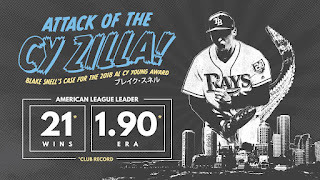 Snell has won nine consecutive starts with a 1.03 ERA in that span - pretty much the ultimate definition of taking control of his fate for the Cy Young. Sad note: Today will be David Wright's final game before being forced to retire because of spinal stenosis, which has no prognosis for improvement as it is a degenerative condition. 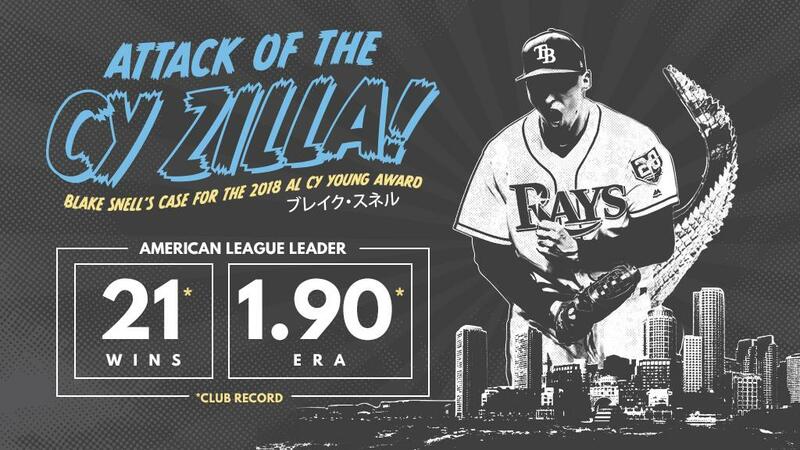 This was a Hall of Fame career in the making before injures hit him hard starting at age 30. 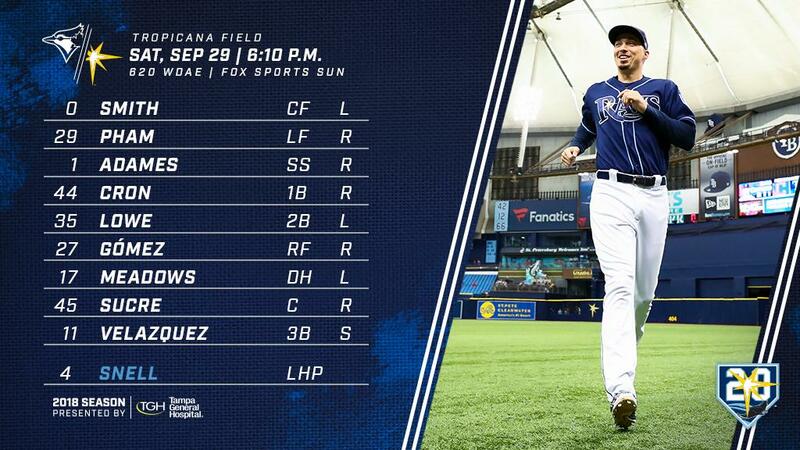 He'll get an at-bat or two in today's game and then take the field before presumably being replaced mid-inning so he can go out with an ovation. John Gibbons says Russ Martin will manage the #BlueJays in Sunday’s season finale. 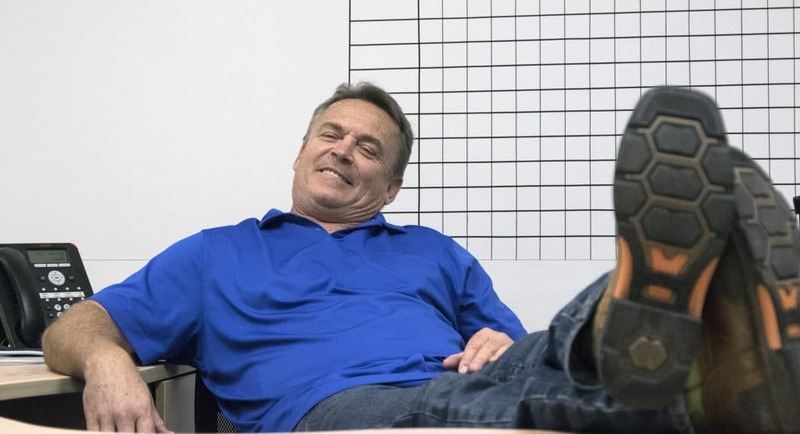 “Let him have fun with it,” Gibbons said. If you have an Athletic subcription, this is an interesting read on a true MLB original, Hunter Pence: "That's how you play this game"
This is your "Win it for Gibby, snap Snell's streak" game thread.